Reversible outfit! 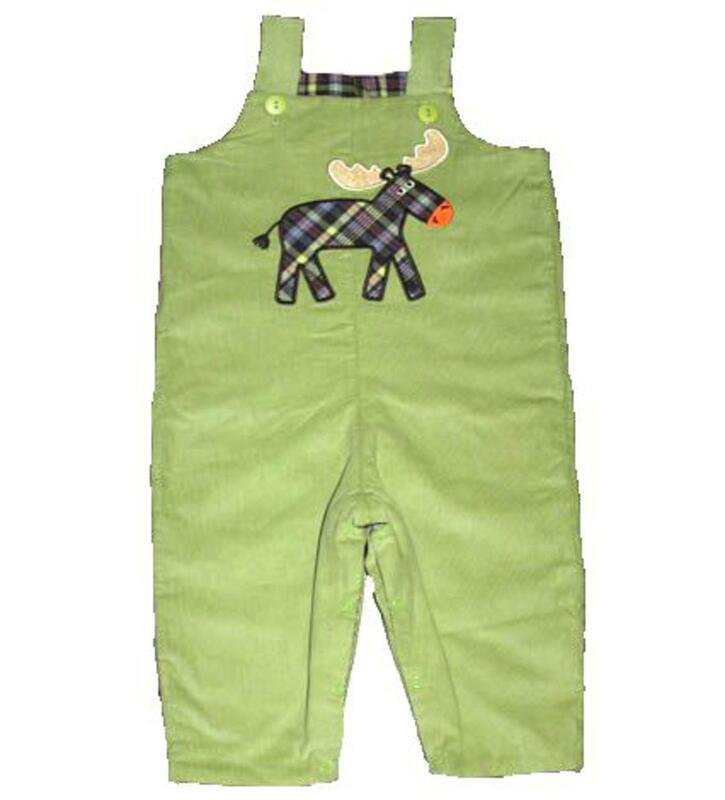 The leaf green corduroy longall has a plaid moose applique on the chest. The opposite side of the outfits is the same all plaid that would be perfect with a monogram. 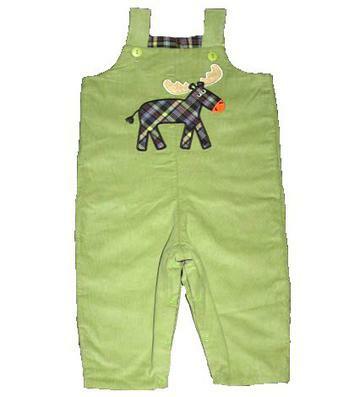 There is two button on each shoulder of both sides and snaps on the inside of the legs to accomodate diaper changes. This super comfortable outfit is 100% cotton.